We deliver unique, romantic yet modern styles that can't be found anywhere else. Most of all, we have a passion for weddings and for design, which results in a regularly renewed stock and a pleasant ordering experience. We are a young business that started out in 2017. 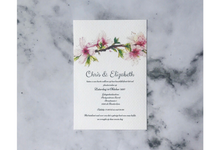 Classic, elegant, floral and botanic, rustic, modern, abstract. 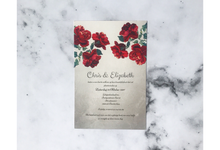 Others - We are still in the development of using special technologies such as letterpress and foil; ask us about the details! 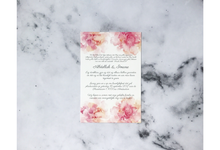 We love to provide brides with unique and romantic designs for their invitations. Let us know what design you want and your desired text, and we will do the work for you!